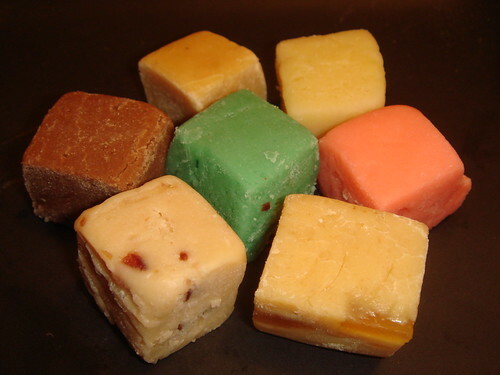 A finger of Fudge may have satisfied kids in the Eighties, but I like my fudge to come in slabs or chunks. 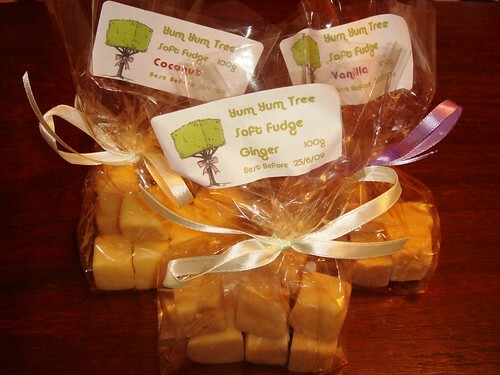 Yum Yum Tree is a little fudge company which specialises in the latter. Yum Yum Tree was set up in 2008 by Lily Turner, when she began making home-made gourmet fudge as Christmas gifts for friends and family in the little village of Thurston, Suffolk (where a lot of our home-grown British sugar beet is produced). Overwhelmed by their positive response, she started selling her fudge at local farmers' markets and the village post office. 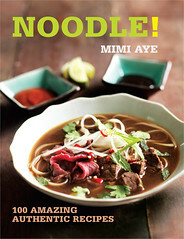 Now Yum Yum Tree's roster of clients has expanded to include customers as illustrious as Jimmy's Farm and Farm Shop. 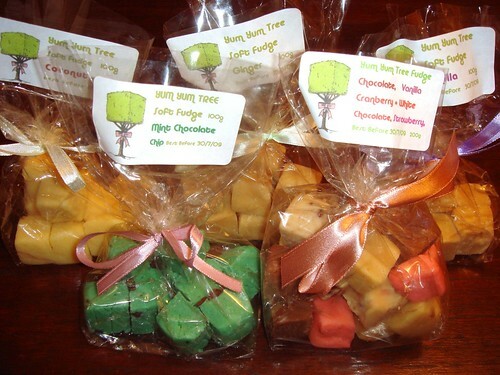 I was lucky enough to receive a beautifully packaged, bumper Yum Yum Tree gift box of various fudgey flavours comprising Ginger, Chocolate, Vanilla, Cranberry & White Chocolate, Strawberry, Coconut and Mint Chocolate Chip. 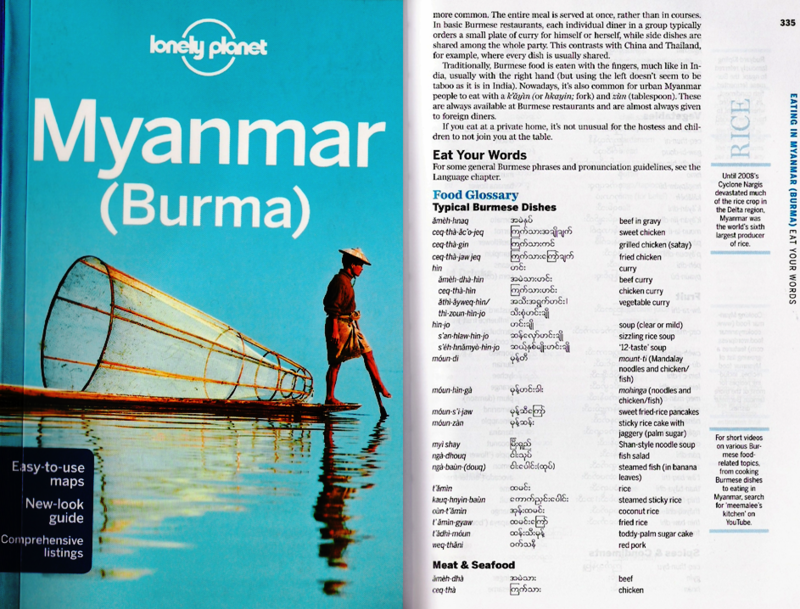 The first thing that struck me was the intense creaminess of the fudge - it's definitely fresh and definitely home-made. The ingredients are all natural and generous - the fudge is shot throughout with real flecks of vanilla seeds, slivers of crystallised stem ginger, juicy chunks of cranberry, moist coconut shreds and big chocolate chips. The Ginger fudge was zingy, creamy and sweet and definitely my favourite, which is surprising since I'm not a fan of sweet ginger generally (seriously, you show me ginger, I show you a stir-fry), though I do quite like gingerbread. The others were pretty much as scrumptious. The only one I wasn't particularly keen on was the Mint Choc Chip, but that's because I gorged myself silly on the Wall's ice cream version of it when I was a child and haven't been near the stuff ever since. 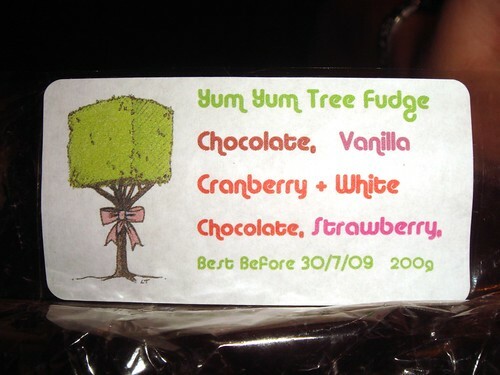 Yum Yum Tree's menu of fudge flavours include Vanilla, Coconut, Ginger, Chocolate, Chilli Chocolate, Lemon Bon Bon, Chocolate Orange, Passion Fruit, Rocky Road, Liquorice, White Chocolate, Rum & Raisin, Cranberry & White Chocolate, Cappuccino, Mochaccino, Strawberry, Mint Chocolate Chip and many more. Better still, Yum Yum Tree is currently developing a Diabetic and Dairy-Free range for people who love fudge but can't enjoy it for one reason or another. I have to confess that I am perhaps a tiny bit biased, as Lily is actually a cousin of mine, but believe me when I say that Yum Yum Tree Fudge is wonderful. Lily has always been known as our family Dessert Queen (she spoilt me rotten with cakes and sweets when I was a kid) and it's about time the wider world knew about her talents! You can try Yum Yum Tree Fudge for yourselves by emailing Lily Turner at lllat@hotmail.com or ringing her on her mobile 07515 679100 - please do! 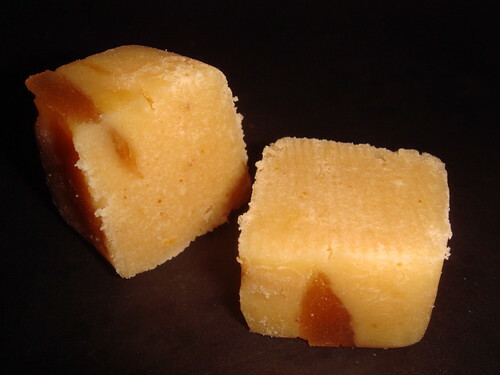 Breaking News: The Yum Yum Tree Fudge Co will be at Taste of London 2009 - come try for yourself! Yep, the Strawberry is dead nice, but Ginger's the one for me! Love your website by the way! Happy Birthday, knit one bake too! Pizza and Pearls - Credit Crunch Special!